It’s probably the 13th of February and you’re googling “good gift for Valentine’s”, “what to get significant other on the 14th” or, if you’re really in trouble, “how to apologize for forgetting about Valentine’s day”. Well west Calgary, you’re in luck. What if I told you that you can get all your sweets, gifts and cards in one convenient location? Crazy, right? Here are some must visit places in Aspen Landing Shopping Centre for Valentine’s Day gifts in 2018. With a large variety of always fresh flowers at Flowers by Divine Creations you’re sure to find something for that special person on that special day. Pick up a beautiful store-made arrangement on the way home from work or custom design a bouquet with your love’s favourites. What better to go with flowers than a gift card for your partner to have a pampering ‘me-day’ at Frilly Lilly? They offer waxes, manicures, pedicures, beauty products and more in a clean, relaxing environment. Let her enjoy a day in their irresistible, sweetly-scented sanctuary of girliness, she deserves it. The only thing that goes better together than Valentine’s Day and lingerie is peanut butter and jelly. With one of the largest selections of undergarments in Calgary, get her something you’ll both love from name brands she’ll recognize at Commitments Lingerie. We guarantee you’ll be thanked. If you want to make 2018 a fantastic Valentine’s Day for your partner, then you’re definitely going to want to stop in to Alberta Diamond Exchange. They offer the best possible price on the highest quality diamonds, jewellery, watches and more. If you’re not sure which piece would have the best ‘wow effect’, they have unparalleled personalized service and can help you find the perfect gift. If you really want to get on her good side, Shoe Muse should be on your radar. It is a five-star, chic shoe boutique with exclusive collections from all over Europe. She’ll be happy to show off her new stylish shoes and be proud of who got them for her. A loyal customer base applauds Mariah clothing store for their unique focus on the ‘mother/daughter’ team. They have a large collection with a diverse lineup of brands guaranteed to solidify your “#1 Husband” award again this year. If you’re looking for an exceptional fashion retail experience under one roof, Something2Wear would be it. They tout a store full of clothes, bags, jewellery, accessories, and more. Their staff are passionate and knowledgeable and will be happy to give you or your partner a fully personal shopping experience. A specialty retailer with an inspired approach to ageless style and casual elegance with updated merchandise every month. That’s What Women Want, and there you’ll find, well, what she wants. Treat her to a large selection of garments and accessories at a store that offers an effortless way to dress and express yourself. Now that you’ve taken care of the classics, stop by Aspen Wine & Spirits to really spruce up the night. They provide a superior selection of boutique wines, spirits, or cold beer. You know that wine she really likes? They have it. Don’t remember that wine she really likes? Bring her to one of the tastings they have in-store every day. 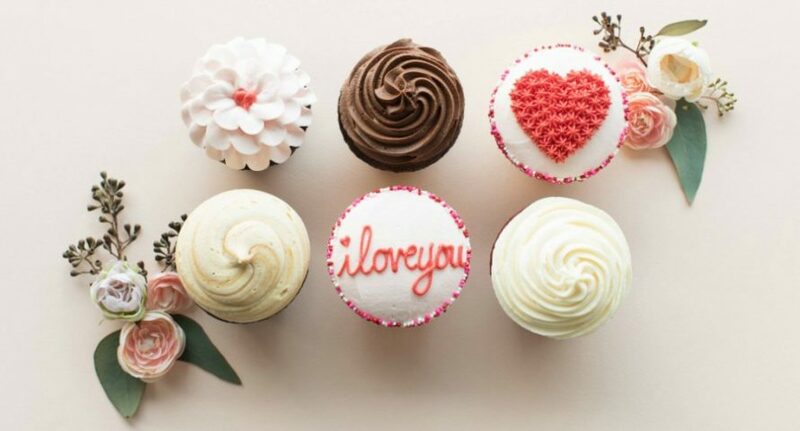 At Crave Cookies and Cupcakes, you’ll find a beautiful assortment of all kinds of baked goods that will definitely satisfy your partner’s sweet tooth. Make your sweetheart smile and place a pre-order to skip the line on Valentine’s Day. f you’d like to take your partner out for dinner, Redwater Rustic Grille is the perfect place for the two of you to relax and enjoy the evening. It is a ‘Chef and Sommelier’ driven restaurant that features fresh, regional, rustic cuisine and award-winning wine lists. If all-day breakfast or lunch is more your speed, Diner Deluxe is an award-winning establishment offering amazing meals centered around breakfast, brunch, and lunch foods (roughly 90% of their menu can be prepared gluten free). If your significant other has been stressed with work or just want to better their body and state of mind, Karma Yoga offers a unique yoga experience, combining the foundations of traditional yoga with the precision of therapeutic yoga in a specially heated room. Let your partner calm their mind and reduce stress with a cardiovascular workout for even the absolute beginner.